We have just released our new catalogue for 2018. Please download and find out what is new. 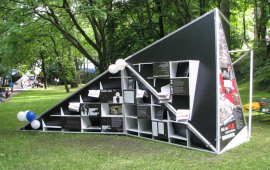 Our prefabricated foundations portfolio seems pretty interesting! 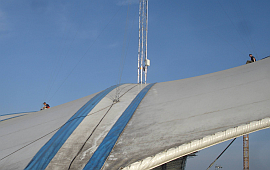 We have designed large parabolic antenna system for telecommunication and scientific purpouses. They are now in sales. Diameter starting with 5 meters up to 10. Steel plate or steel net surface - for less wind drag. 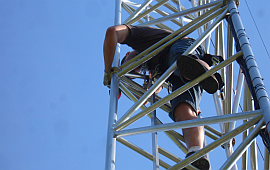 Altruss produces aluminum masts, truss towers and complete set of accessories. Our products are used for WIFI, WiMAX or UMTS radio infrastructure, as measurement towers, as lighting towers (construction sites, temporaty lighting for concerts). 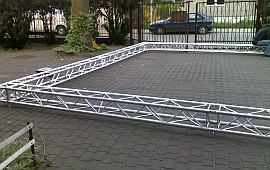 We specialize in truss constructions, aluminum stage products and in advertising business solutions. We produce aluminum truss masts and towers, as well as steel towers for radiocommunication, lighting towers, measurement towers, general purpose truss constructions (eg highway truss gates). The technology we currently employ allows us to build masts as high as 160 meters and towers up to 40 meters (aluminum) and 60 meters (steel). Our products line starts with economic M400 mast series (up to 24 meters) and ends on ML1000 comfort aluminum mast with inside ladder system (up to 160 meters). We do install our products at client's location (radio masts and towers). 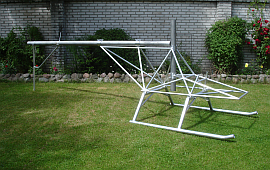 We can bring our team to any european location, along with freshly bougt Altruss mast or tower and build it for you. We can ensure help and controll from certified European Construction Site Inspector. We service our constructions (and other brands as well), do works at heights, install antennas and cables, do dismantling of obsolete masts and towers. 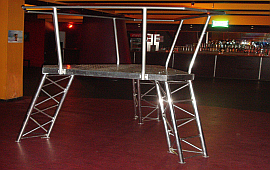 We engineer and produce stage solutions, standalone or designed to extend functions of existing products by other brands. Our products are compatibile with Milos Prolyte, EuroTruss, GlobalTruss and AluStage systems (you need to specify what type of connection is needed). We specialise in tri and quadro trusses, angular trusses, truss wheels, bent (curved) trusses and finally truss solutions made to fit certain spaces (fixed installations for discos). We closely cooperate with interior designers. 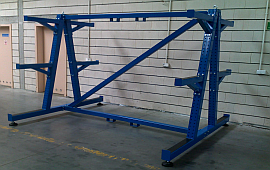 We do on-demand truss solutions engineering. You may bring architectural, stage, or truss design problem, and we shall be able to produce a working solution. We do 3D modeling, static calculations (Autodesk Robot), FEM (Finite Elements Method) analysis to make sure our ideas are sound. You can even outsource such tasks from your projects on us, simply to save precious time and money. Our certified engineers will be more than happy to help. We work with Architectural Design Offices to provide all materials to copy-paste into our Client's projects. 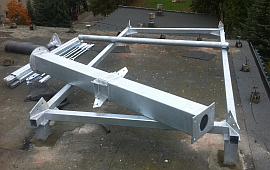 No need to go through masts or towers design phase - simply ask Altruss for help. Altruss is primarily a production company, although we do custimize our products to Clients needs. Moreover we do create new solutions on-demand, or simply adapt what was already made for others. If you need us to install our product at your location - we do that as well. Please see our lates works! We have produced and installed two identical steel truss masts for Police use in Plock (Poland) on newly built police station. 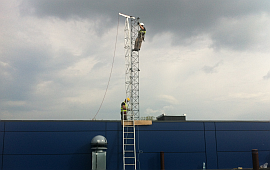 Both masts were dip zinc plated and then powder coated - RAL matching the rest of the building colour scheme. Painting ensured great looks that made the building look even better. We have designed and produced a special series of T1000-15 towers built to withstand harsh conditions in Tirol (mountain top installations). They can take up to 12 cm of icing and wind zone 3 at 2,5 squre meters of antenna load. This was interesting project that made us create untypical solution. Our client uses satellite antenna (diameter of 5 meters) to communicate (RX&TX) with the sky. 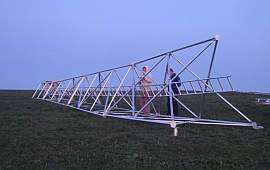 The whole support has to be extremely rigid, so under weight of antenna and full wind it does not move more than 1 mm at the top. Enormous and heavy construction was designed, but fully adjustable in every axis. Inner pendulum and trim system helps to keep construction leveled. 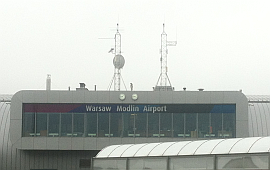 We were commisioned to build set of ballast truss masts for Modlin International Airport. One of key problems here was to dissipate ballast over bigger area (steel sheet metal hall construction could be damaged otherwise). We have done this by use of flagstones and redesigned holders for the ballast. 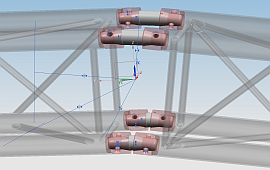 We have just designed and produced an angular conical connector set for duratruss/eurotruss quadro trusses that allows to mount them into large diameter curved arch. Our client uses this as a huge bent screen for cultural event they developed. 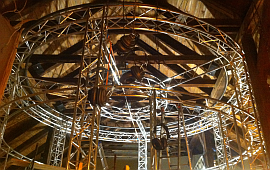 This is a project that Altruss have done for a stage rental company called ARAM. They had huge power cables piles that needed to be sorted. Such trolleys were produced to achieve that task. 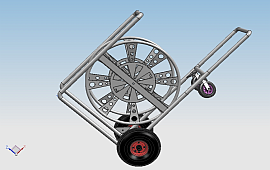 One of design highlights was ability to run on uneven grass, and easy drum release system. Based on concept art from Jaz Plus Architects - Altruss made numerous exhibition constructions for Museum of Polish History. It is a nice example of cooperation between Design Offices and our firm. Please contact us to see what can we do for you. 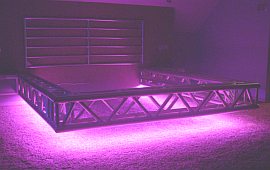 We have designed and made a unique truss bed (and a TV set truss holder). The bed is hovering over the floor (only mounting places are on the wall). As usual in such projects we worked for interior design studio, started with 3d visualisation, then made proper workshop plans, finally made the product and installation. We have made a main part of Museum of Rock and Roll exhibition construction. This beautifully crafted and complicated truss aluminum construction was again created by Interior Design Studio. We have redrawn this in 3d, made workshop plans, manufactured and finally installed at the museum site. Hope this one could inspire both - club owners and architects to trust Altruss in such projects. We have done complete tailor-cut stage equipmet for "Number One" Club in Warsaw, that included main stage, lighting trusses, speakers mounting brackets, and set of podiums as seen in the picture. In cooperation with interior designers we can make any of these to your venue. 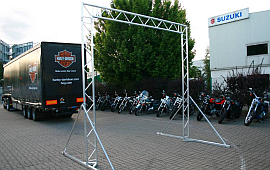 For stage rental /evnent agency Acoustica we have made an aluminum truss gate that was used as screen support during Harley-Davidson event they produced in 2013. This might be used as starting gate for runners competitions ect. We have designed and manufactured a set of specialized shelves for car parts manufacurer in Poland (Intercars). We have started with 3d modeling and finished with installation in Intercars factory. All process led by Altruss. During summer of 2014 we have done a big service action in Ilowa, Poland for local ISP. The service went smoothly, we had a confirmed checklist than ensured each mast underwent same procedure and nothing was left untouched. 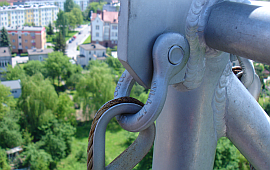 We put most of the attention to watersealing of anchors (a big cient's concern). At the picture you can see newly done anchor sealing. In August 2014 we have done a service and conservation job for AWBNet ISP, we have done this on numerous masts, mostly M1000 series. Altruss encourages every ISP to service their masts on regular basis (yearly). This lets You sleep well during most severe weather conditions that are now more frequent then ever. 2018 All Rights Reserved by AluPro. Designed and Developed by AluPro Digital	Theme Designer.